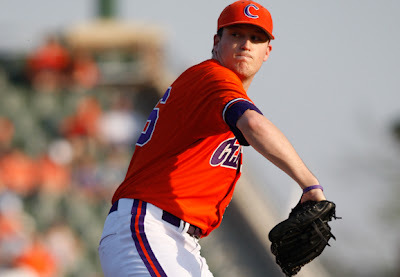 Former South Burlington High School ace Casey Harman, now a Junior at Clemson University, was selected in the 29th round by the Chicago Cubs. The Tigers and Harman head to the NCAA Division I Super Regionals vs Alabama this Saturday. More draft details on the selection can be found here along with Harman's player bio. Thanks to Shane Bufano at VermonScoreboard.com for posting the information.